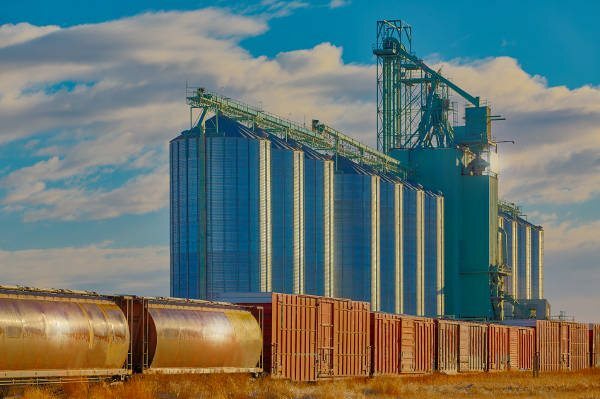 LastÂ week, the Canadian Grain Commission began consultations on its proposals to license producer railway car loading facilities, agents, and feed mills. These operations are currently exempted from licensing. The Canadian Grain Commission is seeking input from producer railway car loading facilities, agents, feed mills, grain producers, producer groups, current licensees, and industry stakeholders on its proposals. Relevant information, including descriptions of the issues and full descriptions of the proposals, are available on the Canadian Grain CommissionÂ website. Information is also provided on the website on how stakeholders can comment on the proposals. Stakeholders have untilÂ June 3, 2016Â to submit input. 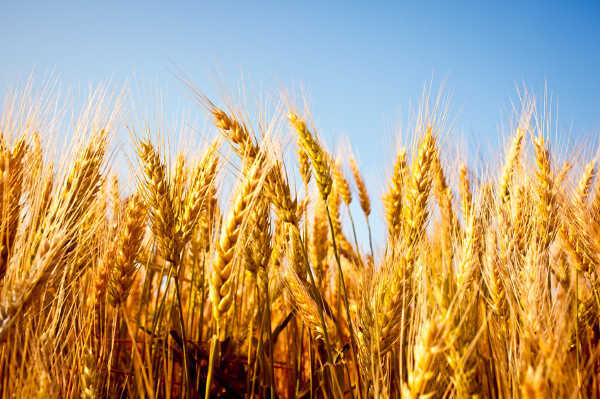 Licensing supports producer protection and the grain quality assurance system. The Canadian Grain Commission issues licences for primary, terminal and process elevators, as well as grain dealers. Producer railway car loading facilities, agents, and feed mills are currently exempted from licensing by annual Commission order or in theÂ Canada Grain Regulations. A producer railway car loading facility is an operation where producers can load their own grain, or have that grain loaded on their behalf into railway cars allocated by the Canadian Grain Commission. These railway cars are forwarded by the railway to a terminal elevator, process elevator, or consignee of the producersâ€™ choice. Producer railway car loading facilities would be licensed as a new subclass of a primary elevator licence. These facilities would not have to post security with the Canadian Grain Commission. An agent is a company that acts on behalf of a licensed company. Agents who have elevator facilities would be licensed as either a primary elevator or a process elevator, depending on their business. They would be required to provide security as a condition of licensing. A feed mill is an operation where a process or a combination of processes is used to produce or manufacture feed for livestock or poultry consumption. It is proposed that feed mills purchasing more than 5,000 tonnes of grain annually would be licensed. Feed mills would be subject to some of the same requirements as process elevators. They would be required to provide security as a condition of licensing. 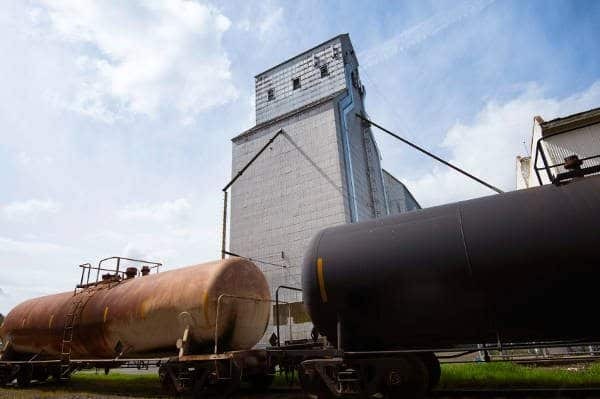 Albertaâ€™s crop commissions say theyâ€™re pleasedÂ to learn that the federal government has signaled its intension to extend measures within the Fair Rail for Grain Farmers Act that have helped improve railway accountability and competition. The postponement of the Aug. 1, 2016 repeal of these measures aligns with recommendations made by Team Alberta during its outreach mission to Ottawa last week, they note. â€œThis welcomed news from the Federal Government demonstrates that Transportation Minister Garneau and Agriculture Minister MacAulay have listened to the concerns of western Canadaâ€™s grain producers and understand the importance of a reliable and predictable transportation system to move our commodities into the marketplace,â€ said Kevin Auch, Alberta Wheat Commission Chairman. â€œWhile the Minister of Transport considers the recommendations presented in the CTA review report, we will continue to advocate for measures that promote long-term railway accountability and adequate rail service,â€ added Mike Ammeter, Chair of Alberta Barley. The federal governmentâ€™s news closely follows the Team Alberta Outreach Mission, a week on Parliament Hill where representatives from the crop commissions including Alberta Wheat Commission, Alberta Barley, Alberta Canola Producers and Alberta Pulse Growers, along with our colleagues at Grain Growers of Canada, met with top decision makers from Canadaâ€™s major political parties to discuss priorities for Alberta grain producers. Long-term transportation provisions and the extension of Bill C-30, the Fair Rail for Grain Farmers Act, were top priorities during the meetings. â€œWe made it a priority to develop relationships with key federal policy makers during the Team Alberta outreach mission. In doing so, we encouraged decision makers to take steps forward to foster long-term improvements to the reliability and predictability of our grain and oilseed transportation system,â€ said Terry Young, Alberta Canola Producers Commission director. The Alberta crop commissions, along with theirÂ colleagues at the Grain Growers of Canada spent last week on Parliament Hill to meet with top decision makers from Canadaâ€™s major political parties and discuss priorities for Alberta grain producers. Key priorities of theÂ Team AlbertaÂ delegation included grain transportation reform, international trade, and public investment in research and sustainability. â€œAgriculture in Alberta is a $13.3 billion dollar industry and a significant contributor to Canadaâ€™s economy so it is imperative that the crop commissions come together and get in front of elected officials to deliver our message and share our story and priorities,â€ said Terry Young, Director with the Alberta Canola Producers Commission. TheÂ Team AlbertaÂ lobby trip included a delegation of Directors from the Alberta Pulse Growers Commission, Alberta Canola Producers Commission, Alberta Barley, Alberta Wheat Commission and the Grain Growers of Canada. The delegation met with representatives from all political parties and shared a united message about how the government can support Canadian farmers. 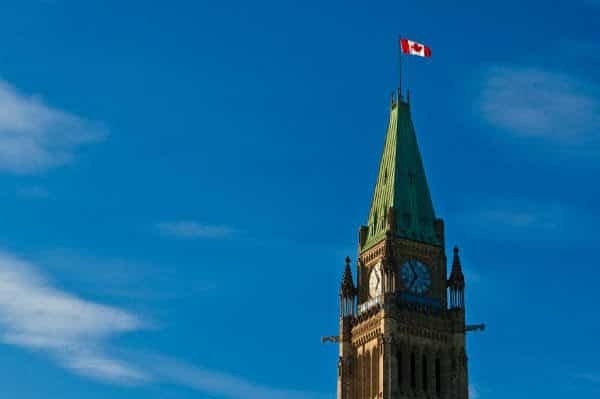 With the recent release of the Emerson report on theÂ Canada Transportation ActÂ (CTA) review, transportation and the extension of Bill C-30, theÂ Fair Rail for Grain Farmers ActÂ were also top priorities during the meetings. â€œAnother of the main priorities we discussed was how the government can support a competitive, predictable and open trade environment by ensuring that the Trans Pacific Partnership (TPP) and the Comprehensive Economic Trade Agreement (CETA) are both ratified immediately,â€ said Gary Stanford, President of the Grain Growers of Canada. The TPP agreement would increase demand for Canadaâ€™s agricultural exports and ensure Canada can remain competitive in key markets, as two of our major competitors, Australia and the United States, would otherwise see preferential access to key Canadian markets within the TPP zone. Farmers and other ag stakeholders across Alberta are tweeting pics ofÂ their activities under the hashtag #Plant16. 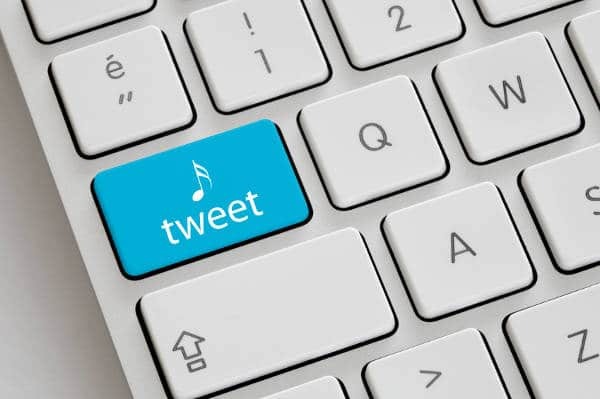 Here’s some tweets from the past week we collected â€” don’t be shy to post your own! Fusarium graminearum has cost Alberta producers between $3 and $8.7 million annually due to reduced yield and downgrading. Alberta Agriculture has created a new video, to help raise awareness of this pest. The governments of China and Canada agreed to continue discussions on a permanent science-based solution to Chinese concerns about the disease blackleg. Canola trade will continue under current commercial terms until September 1, 2016 while further research and information sharing occurs. Dockage will continue to meet the terms of commercially negotiated contracts. Discussions on science-based solutions to concerns about blackleg have been ongoing as part of the 2010 Memorandum of Understanding established between the governments of Canada and China. As part of this Memorandum of Understanding, the canola industry and Government of Canada have invested significantly in research to understand more about the potential risk from the disease blackleg and ways to mitigate this risk. This research has involved thousands of hours from scientists, industry and government, and included all aspects of the canola supply chain from seed genetics and agronomic practices through to handling and processing. The last component of research investigated how dockage, or foreign material, impacts the risk of blackleg transmission. Under the terms agreed to in 2010, canola seed exports to China can only be shipped to crushing facilities approved by Chinese authorities that are in areas where Chinese rapeseed is not grown. 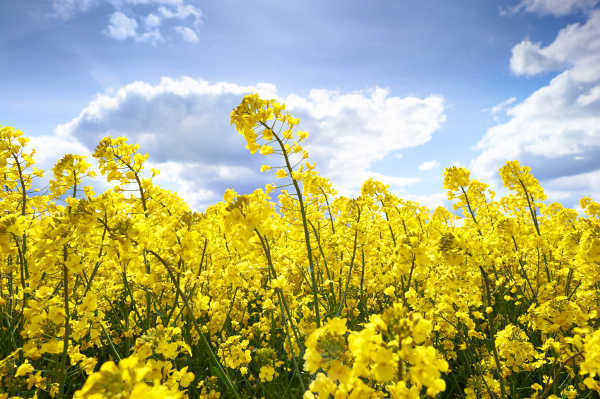 The Canola Council has worked closely on this issue with officials at the Market Access Secretariat of Agriculture and Agri-Food Canada, the Canadian Grain Commission, the Canadian Food Inspection Agency and Global Affairs Canada. Work will continue to answer any remaining scientific questions. 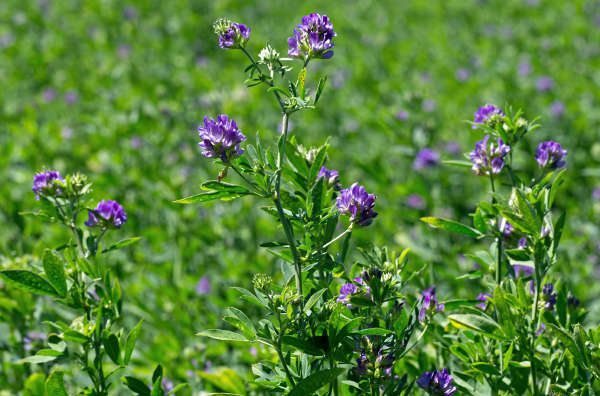 The Alberta Association Of Municipal Districts & Counties (AAMDC) has passed a resolution designedÂ toÂ prevent genetically modified alfalfa from being introduced to the province. The resolution will be sent to the provinceÂ for consideration.â€© ItÂ asks that Alberta Agriculture and the federal governmentÂ collaborate with stakeholders to prevent the introduction of genetically modifiedÂ alfalfa until such a time that there is a demand for the product fromÂ Albertaâ€™s export markets. 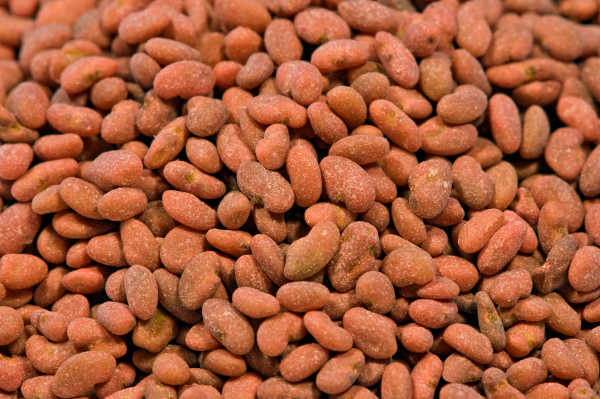 Roundup Ready alfalfa seed â€” created and marketed by Forage Genetics International (FGI) â€” is now available commercially in the United States. Itâ€™s also approved for sale in Canada as well, but FGI has made the decision to hold off on commercial sales of the herbicide-tolerant genetically modified alfalfa, despite the fact that it was granted full food, feed and environmental approval by the Canadian Food Inspection Agency in 2005. Heather Kerschbaumer, president of Forage Seed Canada, has applauded the AAMDC’s resolution. She fears that those export markets will be lost if GM alfalfa is grown in Western Canada. In 2015, she lost a sale of clover seed to Europe due to the presence of some GM canola seeds in the shipment, despite the fact it was certified organic.